Activision Blizzard today announced the launch of Activision Blizzard Studios, a new film and television studio devoted to creating original content based on the company's extensive library of iconic and globally-recognized intellectual properties. Activision Blizzard's owned content includes some of the most popular entertainment franchises in the world, including Call of Duty, Skylanders, Diablo, Hearthstone and StarCraft. Former Disney executive Nick van Dyk has been tapped to co-head the division, along with a senior creative executive who will be announced soon. Activision Blizzard Studios' first production will be Skylanders Academy, an animated TV series based on the award-winning Skylanders game. Currently in production under the supervision of showrunner Eric Rogers (Futurama), Skylanders Academy will feature the voices of Justin Long (Alvin and the Chipmunks, Ask Me Anything) as Spyro, Ashley Tisdale (Phineas and Ferb, High School Musical) as Stealth Elf, Jonathan Banks (Breaking Bad, Better Call Saul) as Eruptor and Norm MacDonald (Saturday Night Live) as Glumshanks. Additional voice talent includes Harland Williams and Richard Horvitz. The award-winning, $3 billion Skylanders franchise has sold through more than 250 million toys since pioneering the toys-to-life category in 2011. Another near-term initiative for Activision Blizzard Studios will be the development of a robust cinematic universe based on the Call of Duty franchise. Call of Duty: Advanced Warfare remains the number one-selling title on next-generation consoles and today marks the launch of the highly-anticipated new Call of Duty: Black Ops III. 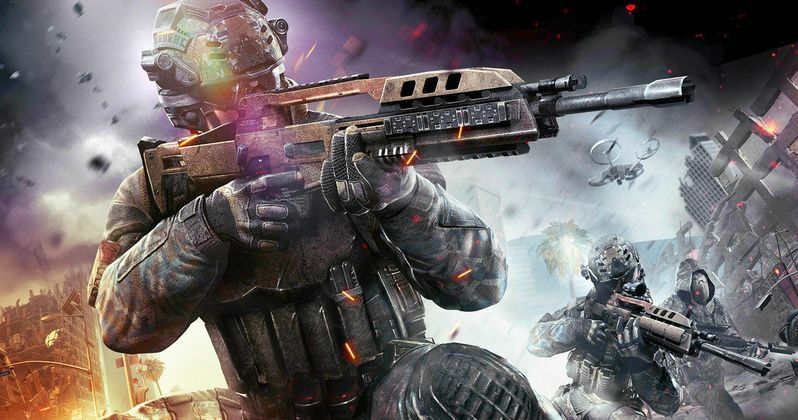 Activision Blizzard Studios envisions a series of Call of Duty feature films as well as the possibility of television adaptations. Here's what Bobby Kotick, Chief Executive Officer of Activision Blizzard, had to say in his statement. "Activision Blizzard is home to some of the most successful entertainment franchises in history, across any medium. With the launch of Activision Blizzard Studios, our engaged fans can now watch the games they love come to life across film and television. Activision Blizzard Studios is yet another way we're celebrating our players and fans, and we expect that our film and television productions will entertain and delight whole new audiences, as well. I'm excited that Nick and his team will be leading this important new growth opportunity for Activision Blizzard. We intend to approach film and television development with the same unwavering commitment to excellence we are known for in game development." Nick van Dyk, formerly a long-time Walt Disney Company senior executive, will serve as Activision Blizzard Studios' Co-President, alongside a top creative executive who will be announced soon. Van Dyk will have responsibility for distribution, physical production, strategy, finance and operations and will co-manage all aspects of the studio. Before joining Activision Blizzard last year, van Dyk spent nine years at Disney where, as Senior Vice President of Corporate Strategy, he helped drive Disney's focus on franchise intellectual property and played a significant role in the acquisitions of Pixar, Marvel and Lucasfilm. Prior to that, van Dyk was part of Artisan Entertainment's senior management team. Here's what Nick van Dyk had to say in his statement. "Activision Blizzard Studios has the unique advantage of starting with a library of world-class intellectual property that includes some of the largest franchises which have not yet been developed in film and television. Our library spans more than 30 years of global entertainment culture and, in the last 12 months alone, fans of Activision Blizzard properties have played and watched our games online for more than 13 billion hours. This gives us a huge, passionate and deeply-engaged audience that is hungry for more great content built from the universes they already know and love-and which are extremely broad in their appeal. Activision Blizzard Studios is not just an exciting new business for our company, it is a synergistic complement to our core business. Our movies and shows will benefit from the remarkable IP created in our games and will further increase the awareness of, engagement with and passion for our franchises." Activision Blizzard Studios is another important step in the company's strategy of expanding the platforms through which it offers its compelling intellectual property to existing fans and new audiences around the world. The founding of Activision Blizzard Studios follows the company's announcement on Oct. 22 of a new esports division headed by former ESPN CEO Steven Bornstein and Major League Gaming co-founder and president Mike Sepso. The esports division will build on the company's competitive gaming leadership by creating all-new ways to deliver the best-in-class fan experience across games, platforms and geographies, furthering the development of its world-leading esports ecosystem. Activision Blizzard's other divisions are Activision Publishing and Blizzard Entertainment. On Nov. 2, the company announced its plans to acquire King Digital Entertainment, the creators of the Candy Crush, Farm Heroes, Pet Rescue and Bubble Witch franchises, which will make it a new global leader in mobile gaming.